Following Tuesday’s gun and bomb attack on Istanbul’s Ataturk Airport, in which 42 people died, the Foreign and Commonwealth Office (FCO) has updated its advice to British travellers. Here are the latest recommendations for Turkey, Greece, France, Belgium and Spain. In the wake of the deadly attacks on Istanbul’s international airport, the FCO has said that the threat from terrorism remains high in Turkey and further attacks are likely. Despite this, it says that travel to the country is “generally safe” but advises that additional safety precautions are followed, especially around tourist hotspots such as beaches. It has also advised against travel to certain areas of the country, predominantly in the south-east, around the Syrian border. The FCO says: “Terrorist groups, including Daesh [ISIS] and the Kurdistan Freedom Falcons (TAK), have publicly threatened to attack tourist sites in Turkey. You should take extra care in public places – particularly those visited by foreigners. While Turkish authorities have disrupted planned attacks, on January 12 2016 there was a suicide bomb attack against tourists in Sultanahmet in Istanbul in which 10 people died. On March 19 2016 a similar attack against tourists on Istiklal St in Istanbul killed four people. While the economic situation in Greece has seen a large number of demonstrations and disruption caused by strikes, the threat to UK citizens travelling there is considered fairly low. There has been a dramatic increase in the number of migrants and refugees arriving on Greek islands, including Lesvos, Kos and Samos, and seeking to continue their journey via Greece to other EU countries. The British Embassy is keeping the situation under review, but at present there are no reports of any specific risks to British nationals visiting these islands or at border crossing points. British nationals aren’t normally considered a specific target, but the FCO warns that “there is considered to be a heightened threat of terrorist attack globally against British nationals, from groups or individuals motivated by the conflict in Iraq and Syria”. It has emphasised that attacks could happen in places visited by foreigners and travellers are urged to be vigilant. Following the terror attacks in Paris last November, the French government declared a national state of emergency, which remains in place. As the European Football Championships continue in France fans travelling to watch the games are being urged to be vigilant, particularly if they are attending matches or visiting the organised fan zones in host cities. The French government has launched a free smartphone app to alert users about possible security incidents, including all major natural, technological and terrorist-related risks. Users will be able to view alerts for up to eight geographical areas. The app, called SAIP, is available in English and French. You can download it from the Apple App store or Google Play. Belgium has also been victim to Islamist terror attacks in recent years and the country’s security forces say there is still a “serious and real threat” of further incidents. Police operations to counter potential attacks are ongoing throughout the country and security operations could be carried out at short notice. Public events and areas popular with locals and foreign visitors are subject to increased security measures and the FCO warns that some events could be cancelled and tourists attractions closed. The FCO says: “There is a high threat from terrorism. Attacks could be indiscriminate, including on public transport and transport hubs and in other places visited by foreigners. According to the FCO there is a high threat from terrorism in Spain and tourists should take extra care. In 2015, Spanish police disrupted a number of groups suspected of recruiting individuals to travel to Syria and Iraq. Some of them expressed an intention to carry out attacks in Europe. 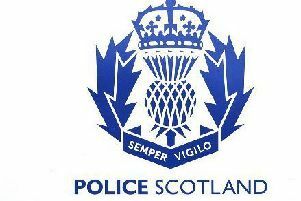 Several further police operations have taken place in 2016.